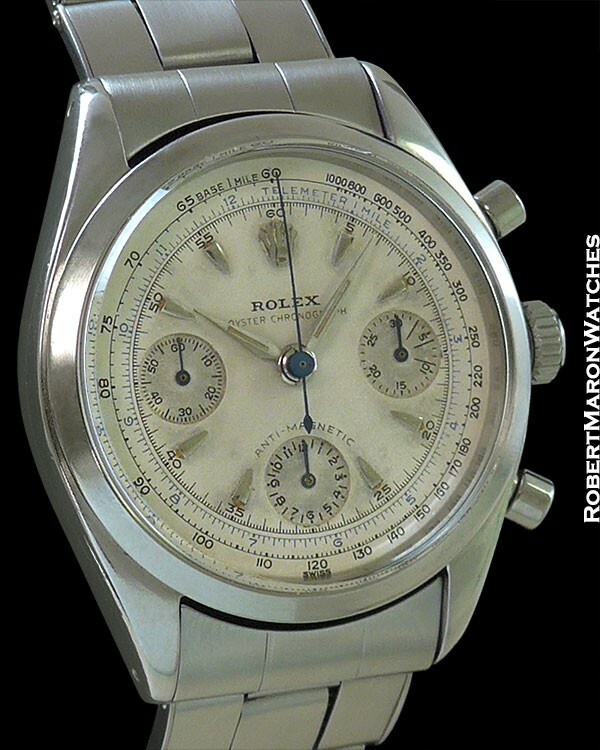 The Rolex 6234 was made for around six years, from 1955 into 1961. This production yielded around 2000 steel 6234s. 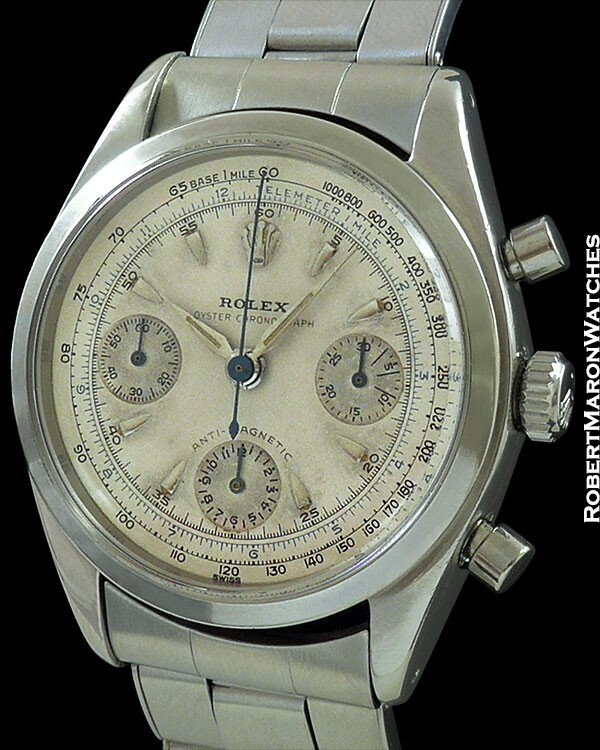 Fifty six years later, the 6234 is very rare – especially examples in mint original condition like this one is. Offered with a variety of dials, my favorite aspect of these is that they look vintage and are visually differentiated from the later Daytona models, with their smooth bezel with no Units per Hour scale engraved and the subdials do not contrast with the main dial color. Original steel case is 38mm diameter by 14mm thick. Clean plastic crystal and clean case all around, in mint+ condition. Pump style chronograph pushers and signed screw-down crown all working perfectly. 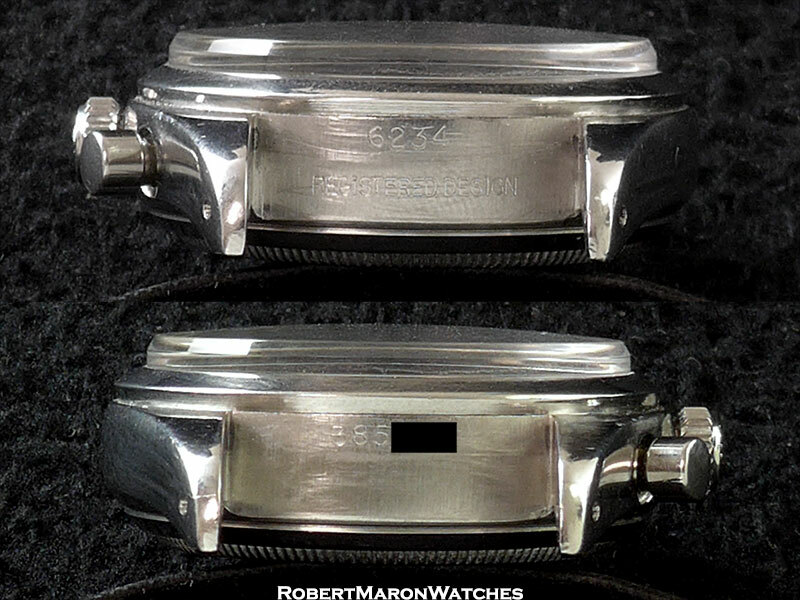 Serial number 385XX dates this watch to 1958. Inside case back is marked ‘6234’. Original untouched silver dial with applied hour markers and gorgeous Blue Telemeter scale. Sunken non-contrasting color subdials with concentric guilloche. The chrono minutes totalizer has long hash marks for the first three units of three minutes, which was to facilitate keeping track of international phone calls, which were billed at the time in three minute increments. 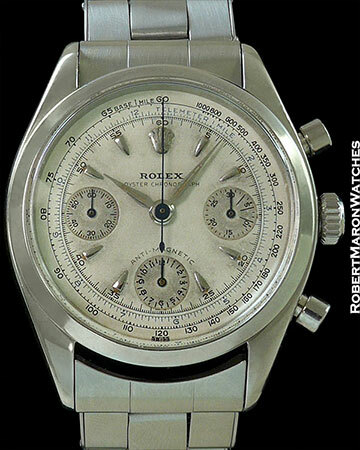 All three chronograph hands are blued and all hands are original. The main hands are Alpha style hands. 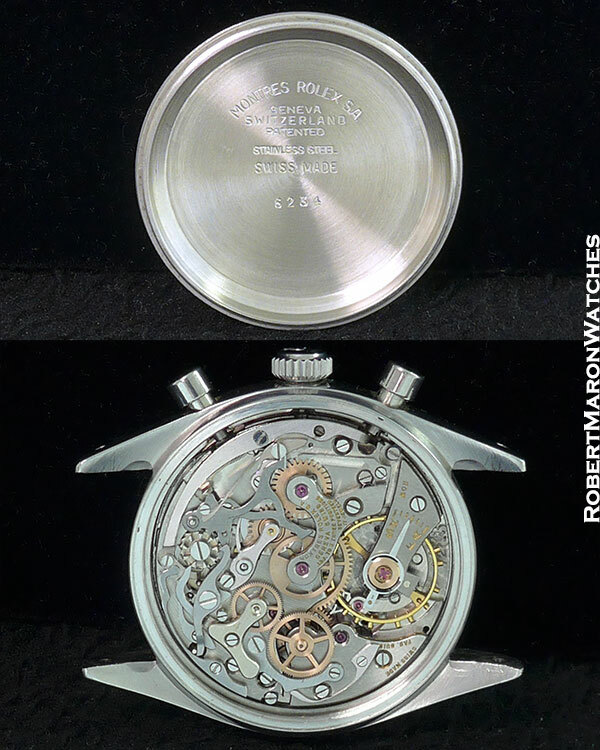 Original Rolex Caliber 72B with 17 jewels and adjusted to three positions. Movement features column wheel construction, and is in clean running condition. Rolex riveted Oyster bracelet in mint+ condition.